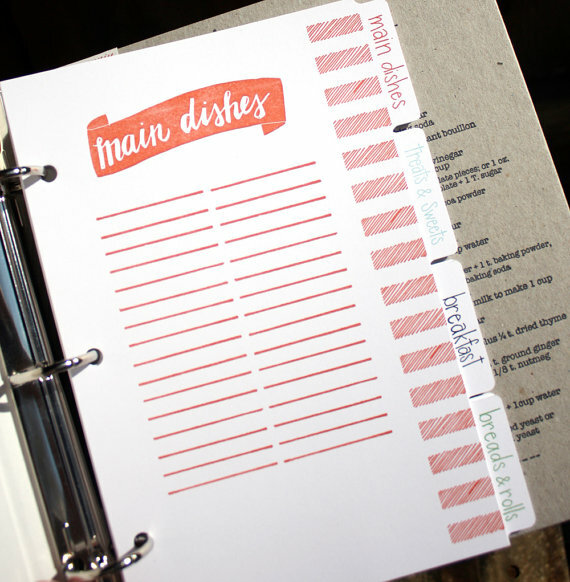 Scroll down to see the top ten bridal shower recipe cards that made the cut! 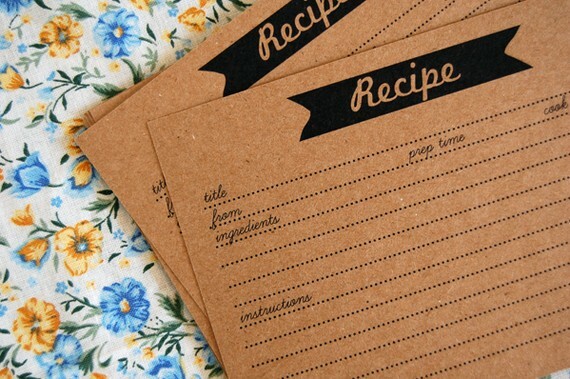 It’s no secret that we love kraft paper, so naturally we think these bridal shower recipe cards are a slam dunk. Strawberries, too? Perfection. By The Ruffly Owl. 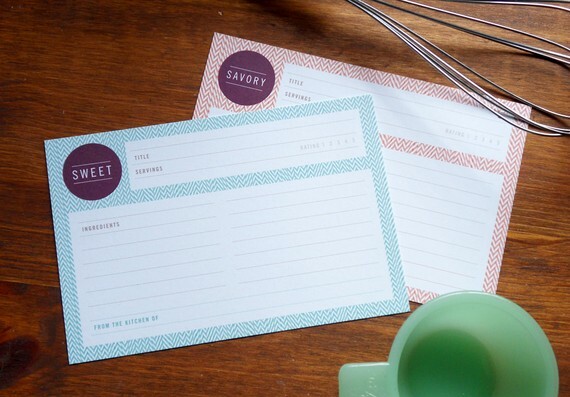 If you crave savory and sweet, check out these recipe cards by GAIT Design. 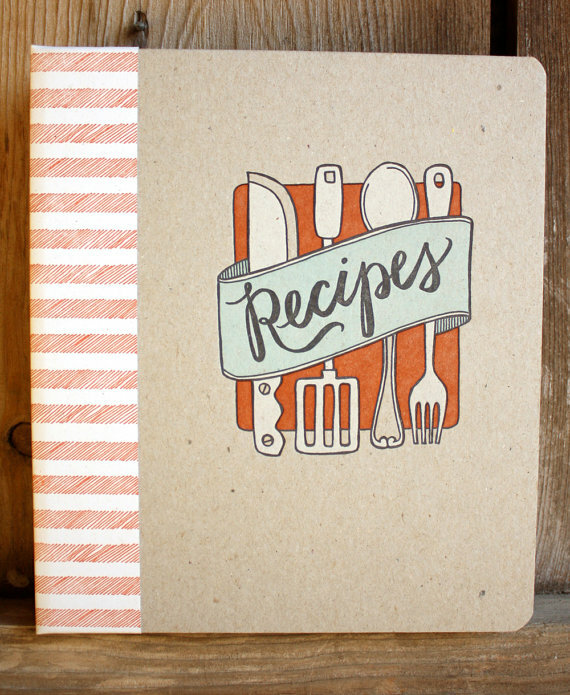 We love the mini chevron pattern, which reminds us of baker’s twine. 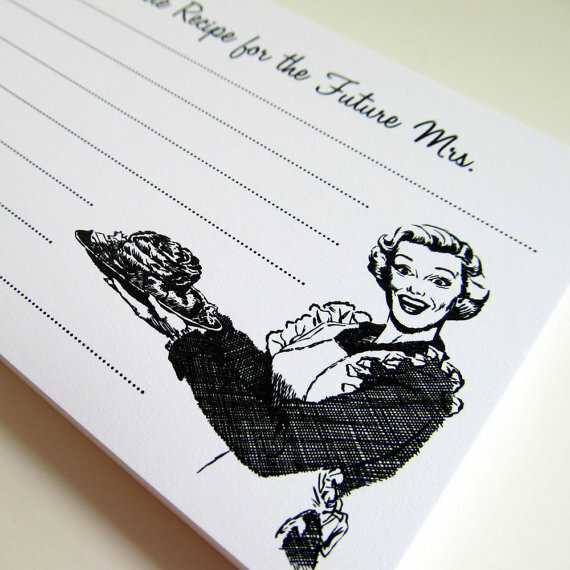 The retro-loving bride will love these recipe cards by Eden Wedding Studio. *TIP: Pair with an adorable retro apron for a complete set! This card is pretty with a polka dotted border and a pair of dancing measuring spoons along the top. By Dapper Paper. 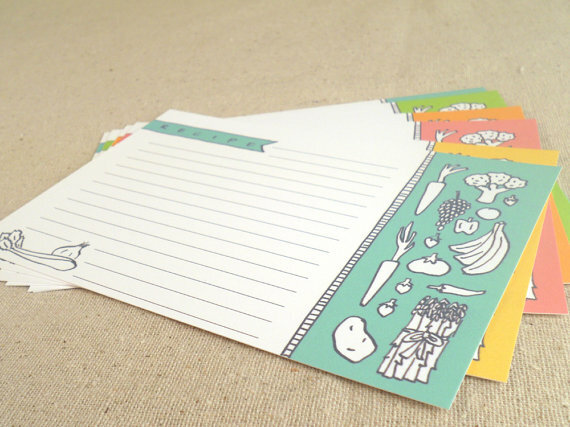 Whimsical vegetables and a soft palette of colors make these bridal shower recipe cards one of our favorites. By Emilee Rose. 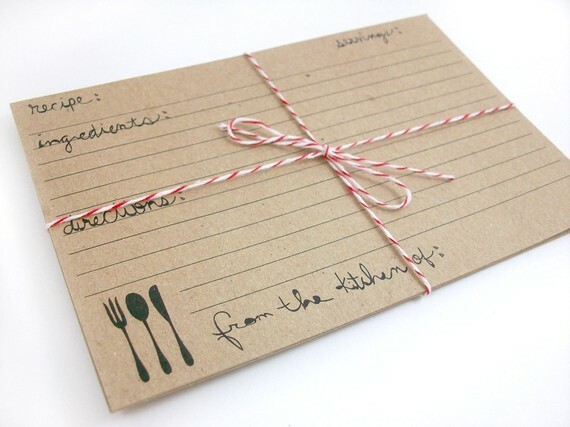 Another kraft paper recipe card has stolen hearts, this time with a little red + white baker’s twine and a set of flatware. By Hello Magpie. 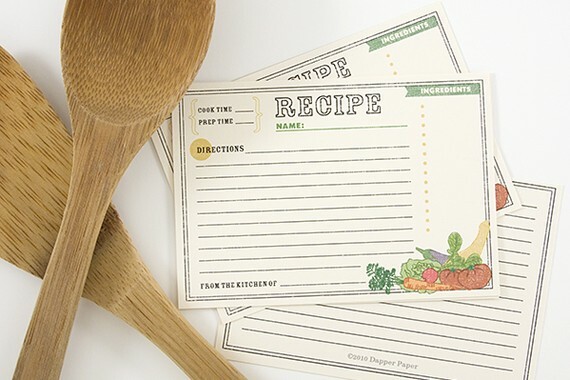 Whimsical farmer’s market recipe cards by Dapper Paper boast a vintage look. A whimsical banner, a floral print, and personalization. What could be better? By Yellowbrick Graphics. 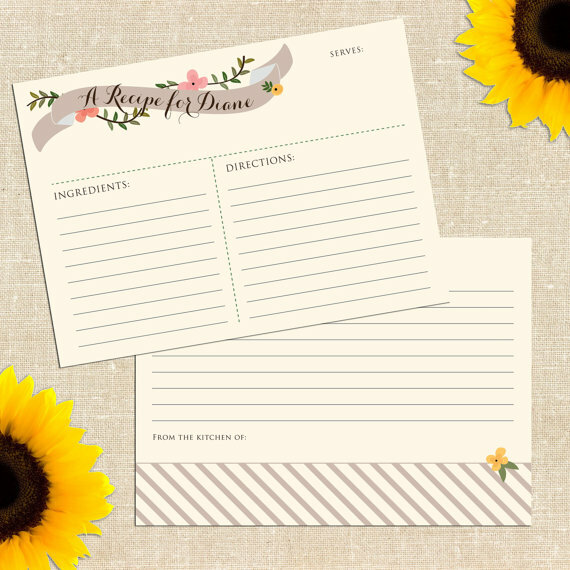 The hot pink lettering and elegant rose caught our eye on this set of bridal shower recipe cards by the appropriately named Rosie Day Design. 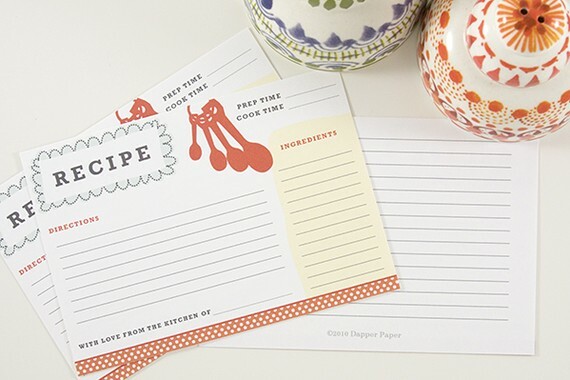 Last but not least, these recipe cards feature a kitchen themed array of a sweet essentials like a whisk, measuring cup, and oven mitt dancing along the bottom border. 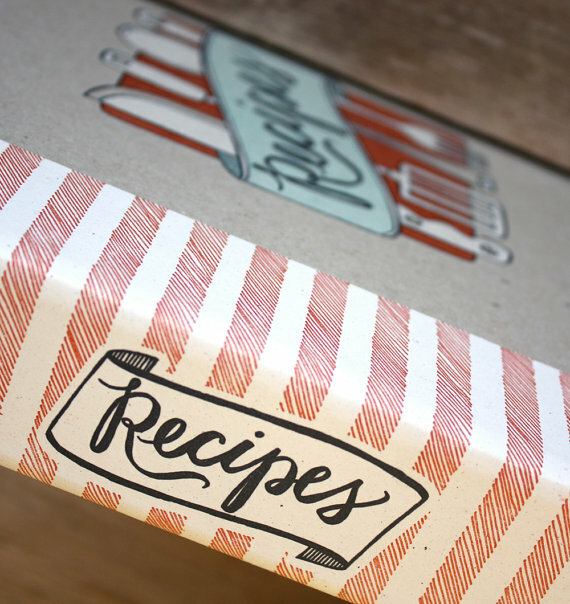 By Invita Paper Studio. 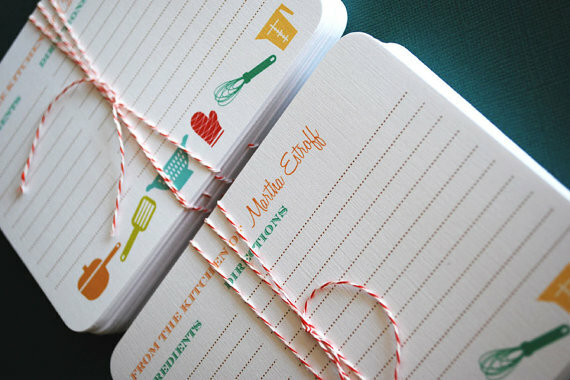 If you’re planning a kitchen-themed bridal shower, consider these sweet little whisks or measuring spoons as favors. My mom and I (Emma here!) bought the whisks for my sister’s shower (and my sister and mom bought the measuring spoons for my shower) and I still use both in my kitchen today! The measuring spoons and whisks were a hit at both showers. 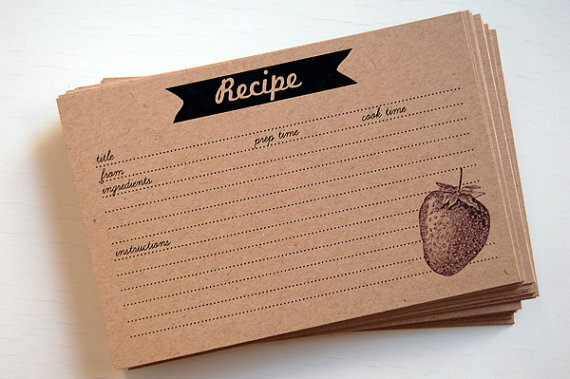 We hope you liked this round-up of bridal shower recipe cards. Which one is your favorite? some items linked above to our amazon affiliate account as a visual; however, feel free to shop wherever you wish! Thank you so much for including me in this awesome post! This is one of my hands down favorite ideas. Such perfect choices!! Great post! 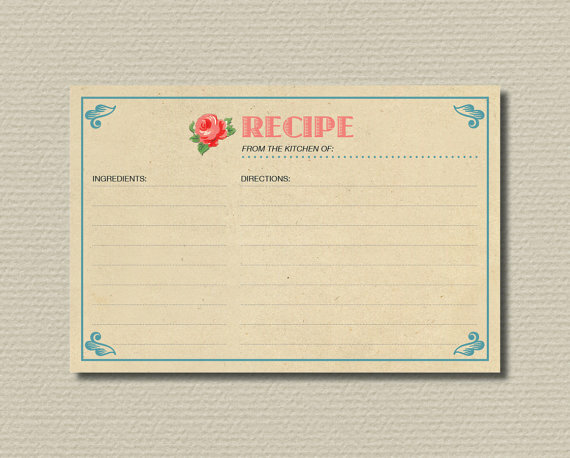 Thank you for including my retro bridal shower recipe cards!